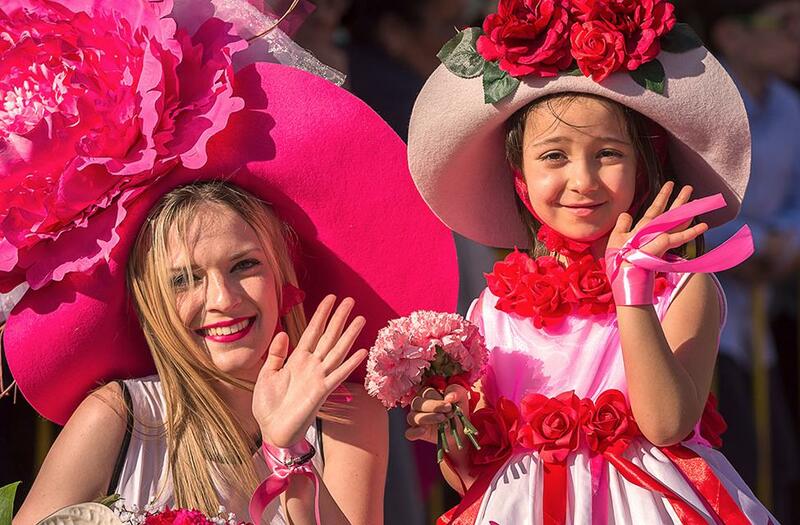 Flower Festival symbolizes renewal, hope and transformation. It’s the magic of these three elements that sets the tone for welcoming spring. 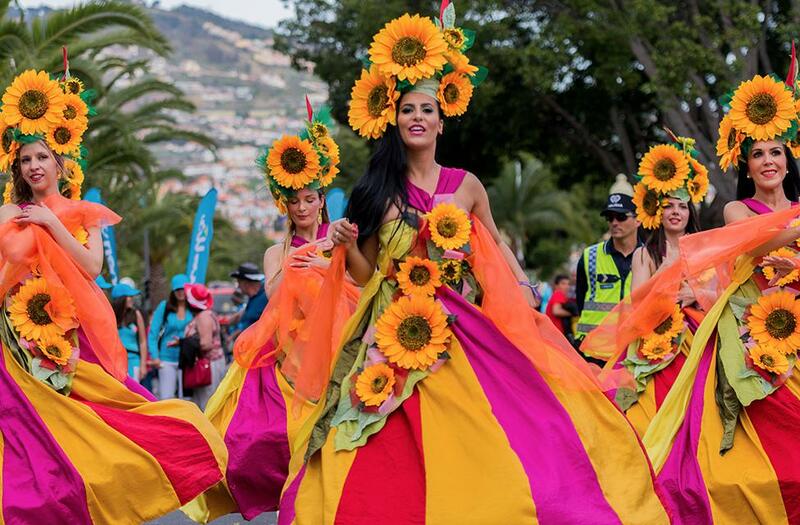 The kind of magic that runs through several municipalities of the Madeira archipelago and leaves no one indifferent to the bold decorations that reveal authentic works of art full of flowers. 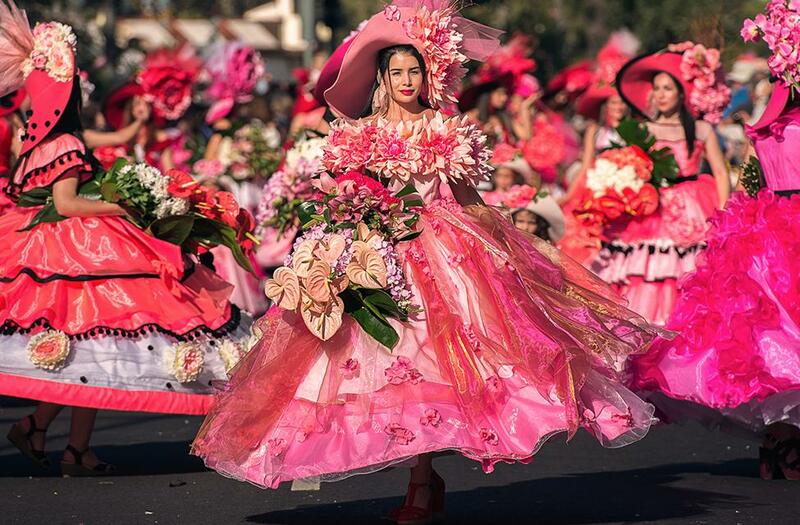 The Flower Allegorical Parade is the highlight of this celebration that pays tribute to the purest and most graceful beauty, even though it may take very different forms. A real treat for the audience, who can follow the exuberant show where flowers shamelessly steal the spotlight. 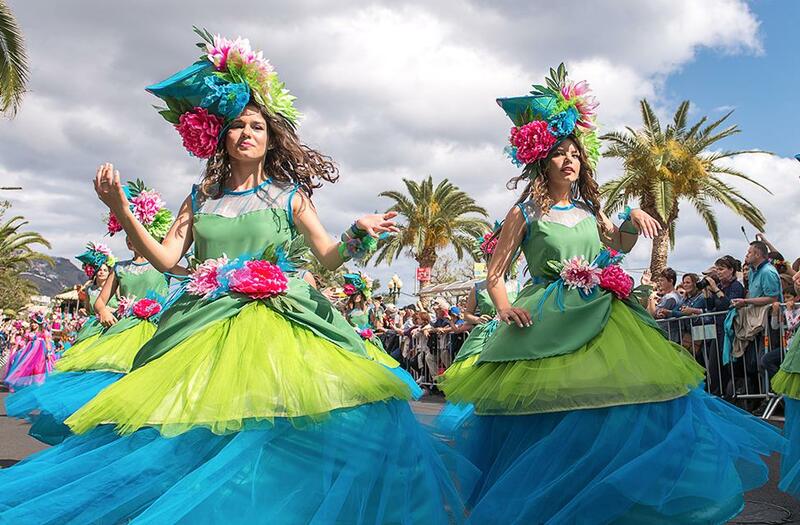 The parade of hundreds of performers and beautifully decorated floats happens on Sunday afternoon along Avenida do Mar and Avenida Sá Carneiro. 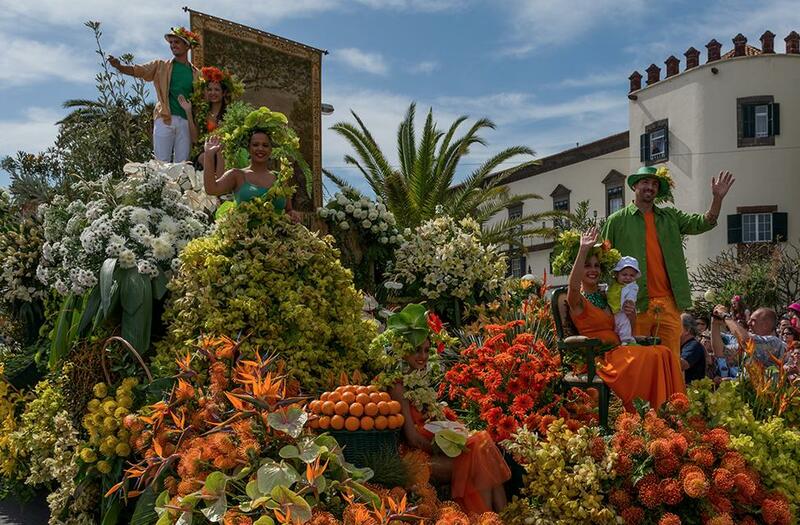 This parade unravels both the abundance and diversity of floral species, which come alive and get even brighter to the rhythm of harmonious melodies. The dance of the flowers emanates a soft perfume that will stir all your senses! You’ll be overwhelmed with the great variety of flowers mixed up to create a lively colour palette that doesn’t go unnoticed by the most curious and the frantic clicks of the cameras. There are other delights for the eyes that you cannot dare to miss! The carpets of flowers designed by several artists, especially those in the central plate of Avenida Arriaga, are a must-see. Also, the Flower Exhibition in Praça do Povo and the “Wall of Hope” in Largo do Colégio, culminating in a ceremony that is a true appeal for peace, are two events not to be missed.